Panasonic takes top spot on conversion efficiency of a crystalline silicon-based PV module from rival SunPower. One percent may seem like a trivial number, but in the world of sustainable energy, one percent can mean the difference between the best and everyone else. In fact, all it took was one percent for Japanese electronics conglomerate Panasonic to secure two world records. 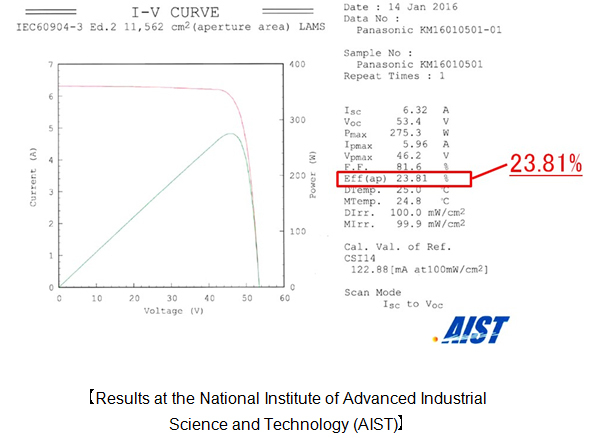 The first was for the world’s highest conversion efficiency of 25.6% in its silicon heterojunction cells. The second was awarded for the world’s highest conversion efficiency of a crystalline silicon-based photovoltaic module, a record previously held by its rival manufacturer, SunPower – as confirmed by the National Institute of Advanced Industrial Science and Technology (AIST). 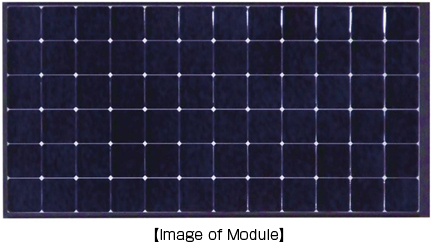 According to Panasonic, their record-breaking achievement for the crystalline silicon-based photovoltaic module was made possible by the unique silicon heterojunction structure they have developed. Composed of crystalline silicon substrate and amorphous silicon layers, the company notes that this new hetorojunction structure has continuously improved its photovoltaic module HIT™ since the start of commercial production. Currently, Panasonic is still in the process of further developing their proprietary heterojunction technology to make the high-efficiency solar cells and modules suitable for mass production. Founded in 1918, Panasonic has always been known for diverse electronics technologies and solutions in the field of consumer electronics. In 1975, following their commitment to create a better life and a better world for their customers, Panasonic started research and development on amorphous solar cells. In the early to the late 90s, the company started mass-production and sales of their photovoltaic module HIT™ for residential use. Since then, many photovoltaic systems using HIT™ have been set up in countries such as South Africa, Spain, South Korea, China, and the United States among many others.